HEY EVERYONE LOOK HERE I HAVE SOMETHING SUPER IMPORANT TO TELL YOU! Xplorations camps at HMNS are no more! Just kidding! Did I scare you? Don’t worry we’ll still be having camp here, with all your favorite topics, but now we’re calling ourselvesSummer Camps @ HMNS. Take a look at this snazzy new design! I think it’s fitting for all the curious minds that join us over the summer, don’t you? You may be wondering, “why mess with a good thing?” Well first off, while “Xplorations” was cool and fun (in the 90s) we decided it was time to get with the times. The museum is basically as old as the dinosaurs but we don’t have to let people know that! More importantly though, we felt that it was time that people understand what we’re really about. 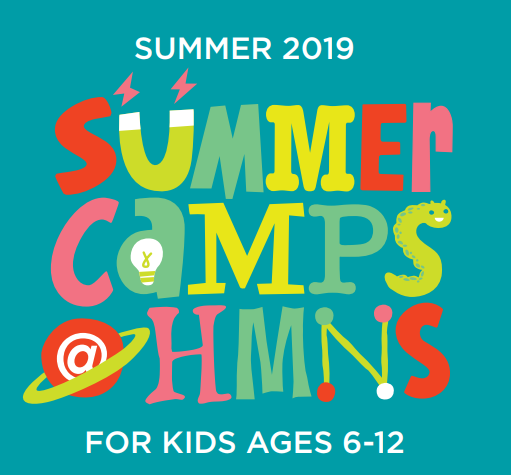 Summer camps at HMNS are about having a fun and educational summertime experience that really taps into the natural curiosity of young minds. Some of you may know (most of you probably don’t) that I started working here years ago as a summer camp intern and it turned out to be the best decision of my life! Since then, I’ve gotten to watch the program grow and change and it’s really incredible to see so many kids come learn every summer in such a fun way! Some even choose to take the same camp years in a row because they love it so much! Seeing all of these camps and helping them succeed has made me wish I’d taken them as a kid. I love seeing all the little wizards running around in Wizard Science Academy, and the tiny spies conducting covert missions in Master Spy Camp. I would totally join them…. but I’m told I’d look completely ridiculous as a fully grown adult… and that I have “real work” to do. Whatever, haters gonna hate. Summer Camps @ HMNS are deceptively educational. There’s so many weird things we do behind the scenes to make the camps as fun as humanly possible. That way, even the most stubborn learners are having too much fun to realize how much they’re actually learning – and during the summer no less! *gasps dramatically* Whether it’s making Jell-o brains for Weird Science Camp or counting out real sheep brains for dissection, no two days are alike around here. Best thing is, we’re always adding new camps and new topics for kids to choose from! So if you’re interested to see what weird and exciting things we’re cooking up for Summer Camps @ HMNS check us out hereand get signed up today! Camp is just around the corner, and we hope to see you there! Next Post Is Monarchy Better than Democracy?